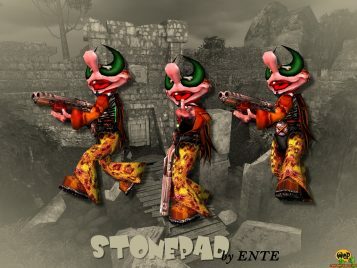 StonePad seems to come directly from the Stone Age and definitely is inspired by the American animated sitcom The Flintstones. But instead of a mace he will try to hunt you down with the shotgun, so be prepared. 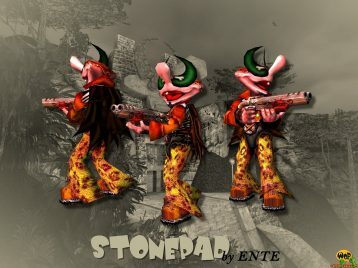 StonePad is an alternative skin for Padman created by ENTE himself and needs the player model Padman for Quake 3 Arena installed before.